It seems that the future for cleaning away soil contaminates left by industrial waste lies with the mushrooms, or more specifically, a common fungus called white rot. 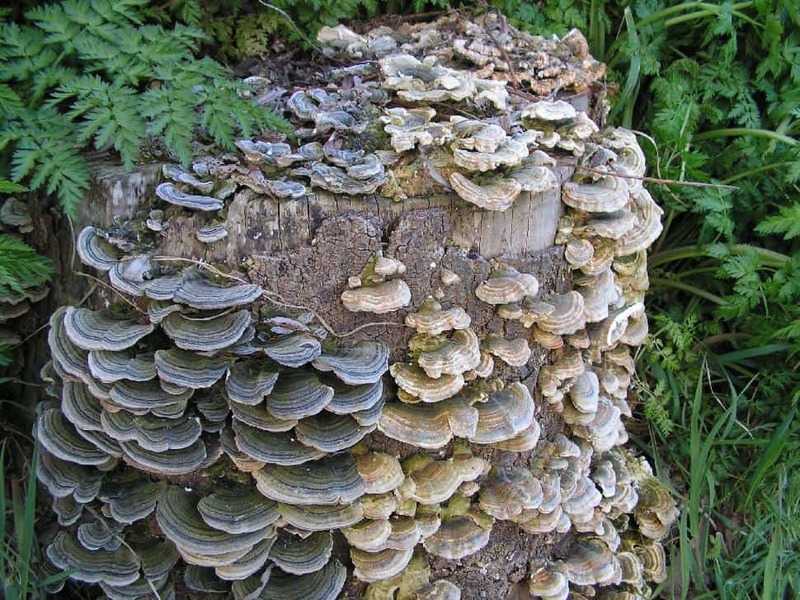 New research shows that this fungus that usually just helps decay fallen trees in the forest can also destroy dioxins and poly-aromatic hydrocarbons. This find is quite the big deal as these contaminates were not able to be cleaned from soil by traditional methods. The discovery was made by Erika Winquist, a researcher at Aalto University in Finland. Her trails found that up to 96% of poly-aromatic hydrocarbons compounds and 64% of dioxins in contaminated soil were broken down by the white rot after three months. This new breakthrough opens up a whole new world of possibilities for cleaning contaminated soil in industrial and former industrial sites like coal gasification plants, sawmills, timber treatment works, fuel depots and waste processing centers. Since all the soil cleaning requires is some white rot fungi, it is also significantly lower in cost than the traditional methods. Usually, when soil is contaminated by organic ingredients like oil, for example, the oil is usually cleaned by composting. However, dioxins and poly-aromatic hydrocarbons are not broken down by these methods. After composting, the soil in contaminated areas is taken to landfill sites--a place where Finland alone dumps over a million tons of contaminated soil each year. Another popular and effective method is to burn the soil at a high temperature, usually around 1,000C, to destroy the pollutants. However, this process is both expensive and energy intensive. The white rot used to clean contaminated soils would first need to be grown on pine bark, which naturally contains compounds that prevent growth of other microbes. After about 4 weeks of growth, the fungus is transferred to the contaminated soil where it begins to break down the polluting compounds. While slower than traditional methods it is much more effective.